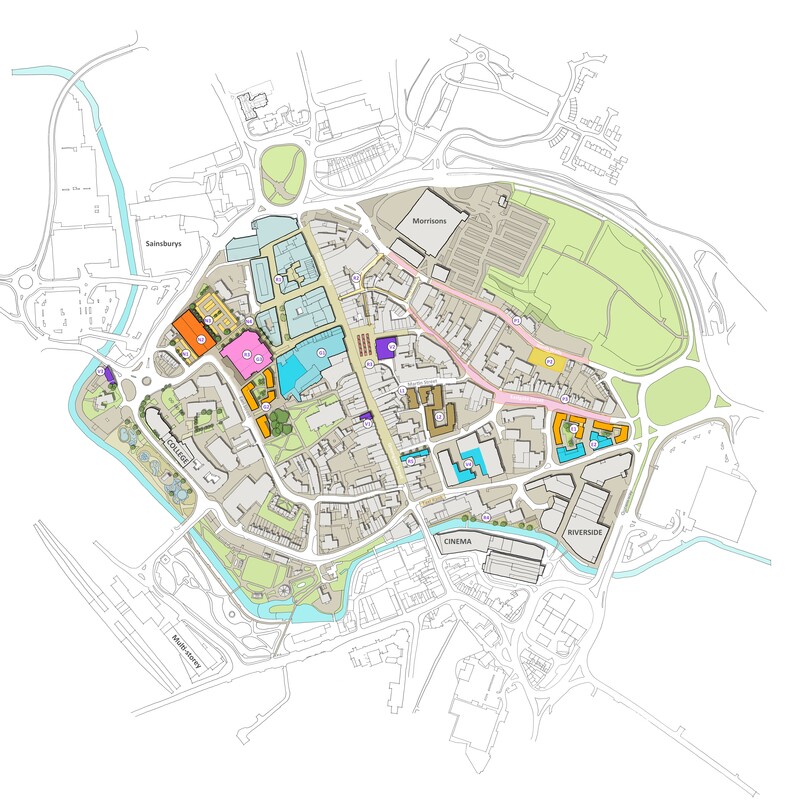 URBED were appointed alongside DTZ by Stafford Borough Council and Staffordshire County Council, in April 2014, to develop a vision and delivery strategy to catalyse the regeneration of Stafford Town Centre. 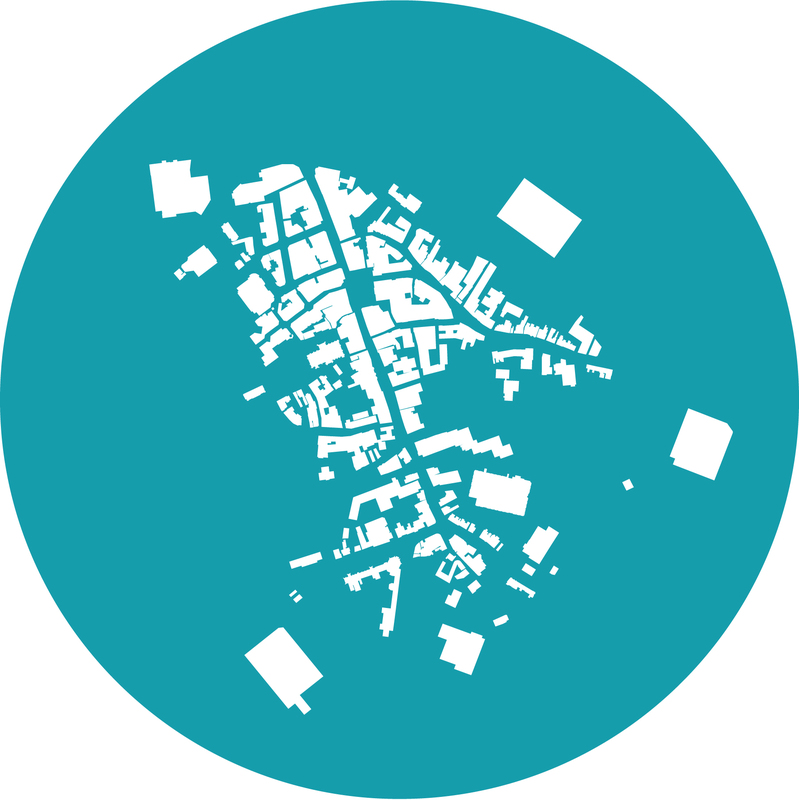 URBED carried out a detailed baseline analysis of the centre, looking into a number of topics including its catchment, socio-economic profile, historical development, townscape and heritage, access and parking and open spaces and amenities. The methodology for the study was based upon URBED’s report, Vital and Viable Town Centres, commissioned by the Government to inform their town centre policy in the mid 1990s. The fundamental idea behind the Vital and Viable Town Centres report was that town centres can’t rely on the loyalty of their traditional captive markets but have to market and promote themselves, diversify their activities and make themselves much more convenient and attractive. URBED structured the baseline analysis by looking into the 4As in Stafford - Attractions, Access, Amenity and Action. DTZ, well placed with their local knowledge of the centre also carried out a study into retail provision and a commercial analysis of different land uses. The study then looked into comparing the town centre with other centres of a similar size, inlcuding Bedford, Gloucester and Shrewsbury. Following the baseline analysis, a roundtable workshop with stakeholders was organised to build local knowledge of the centre, and test the assumptions and recommendations put forward from the initial baseline study. The study then looked at possible options and futures for Stafford Town Centre, identifying areas for change. This process was informed by close discussion with the client, and the previous stakeholder workshop. A public consultation was held on a busy shopping day in the centre of Stafford to gauge people views and opinions on the suggested projects and options for the centre. DTZ then carried out a delivery plan to put timescales and funding options for each of the projects identified. Join our mailing list to be kept up to date with progress! The boards identify three possible options for the area around the Guildhall and detail various projects which we think could benefit the town centre. Once you have had a look at all the boards, please follow this link to answer questions online and give us your feedback! The URBED Bus is coming to Stafford Town Centre! Following a workshop with local people last month we will be consulting on our initial ideas for Stafford Town Centre, and would like to invite you to an exhibition aboard our red routemaster bus! The bus will be stationed in Market Square between 10am-4pm on Saturday 26th July, members of the team will be on hand to answer any questions and get your feedback! Your feedback will guide proposals for future developments in the town centre. This work will form part of the Stafford Town Centre Development Guide, which we, URBED, are producing with our partners at DTZ. We hope you can make it and look forward to seeing you there! Thank you to those who attended our workshop! A big thank you to those who came along to our first round table workshop on Wednesday 25th June! On Wednesday 25th June, we are due to hold a roundtable workshop, where we will ask participants their views on the future of Stafford Town Centre. You can view our presentation under downloads which provides all the work we have carried out on Stafford so far, and our reccomendations for future development in the centre.